Data-Link West Inc is a Computer Service Corporation. The goal of Data-Link West Inc is to provide solutions to business computer technology needs. Business Computer technology needs can contain computer hardware, operating systems, program software, network design, hardware installation, software installation, custom programming and other computer related needs. 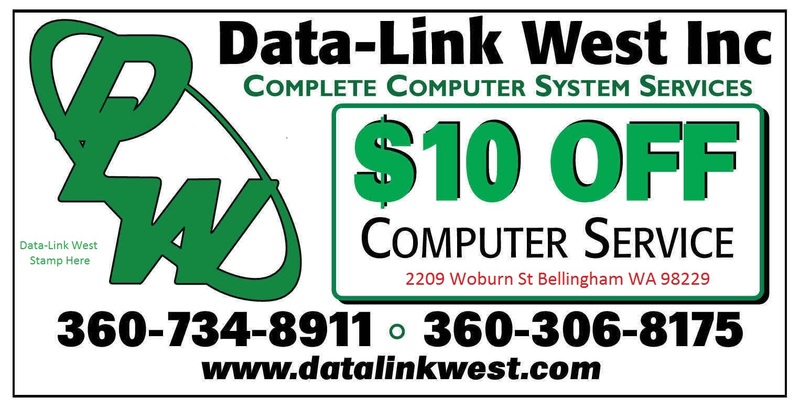 Data-Link West Inc is a small computer services company located in Bellingham Washington. We take pride in being able to help small and mid size businesses with their computer needs. This also extends to the Non-Profit and Education and Home PC services. Data-Link West Inc. Community Information Service. In the ongoing effort to help Businesses and NON-Profit organizations in the Whatcom County area Data-Link West Inc. is now providing an Electronic Bulletin Board Service.